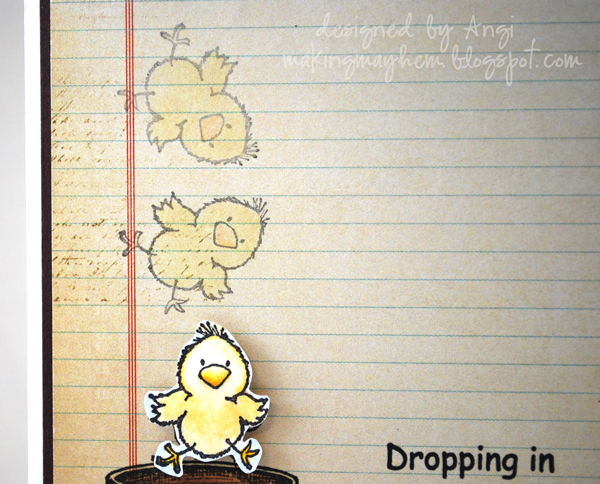 Isn't this little chick just adorable?! See how he's 'dropping in' - right into those pots! This particular set of stamps would be perfect for a spinner card, too, don't you think? Your turn! Make a project using dies or punches and link up to our June Challenge! Very cute and very clever too. 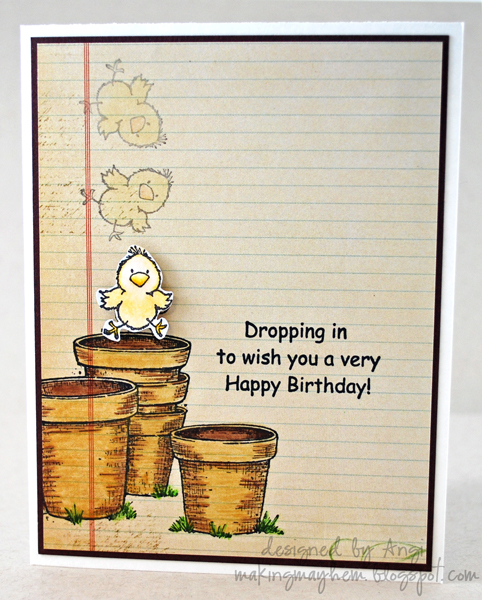 I love gardening so those pots are right up my alley...and that chickadee is A-dorable Angi! Very cute idea for a card! Very crafty and clever! So fun!!!! Awww this is sooo cutie patootie!